The complex socio-political landscape of 2017 includes a strong desire to reconnect with nature, enhance our wellbeing and live sustainably. People want to feel revitalised, whether it’s hanging out in a lush rooftop garden, or surrounded by the warmth and tactility of wood at home. There’s been a sense of rebellion among architects and designers too – colour-blocking in bold hues and bright post-modern-style architecture had a comeback this year. Just as the lagom trend came about and ‘Greenery’ was made Pantone’s Colour of the Year 2017, sustainability has been on everyone’s minds this year and is possibly one of the most prevailing trends of 2017. Many architectural and design firms are now making this a fundamental part of their ethos – Norman Foster designed Bloomberg’s new London headquarters, which has just become the world’s most sustainable office design. 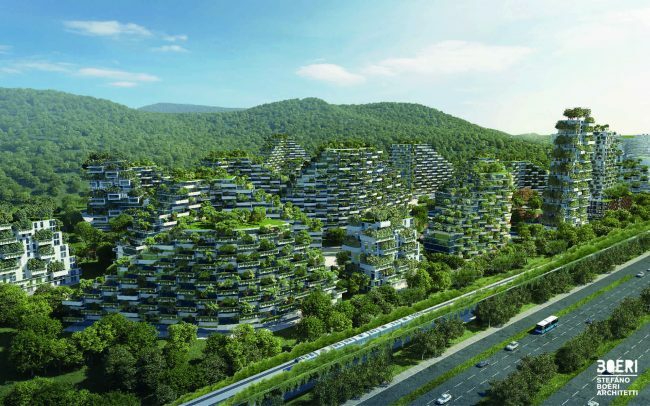 One particular trend that’s really taken off this year has been the introduction of rooftop and landscaped gardens in huge commercial building projects, such as this ‘Forest City’ in China, which was designed by Stefano Boeri Architects to help combat the country’s huge air pollution issue. High-rise buildings are even being made out of timber in an effort to reduce pollution, cut waste and increase efficiencies in construction. Things especially seem to be taking off in Canada, where an 18-storey tower is planned for Toronto, designed by Penda, and Pritzker Prize-winning architect Shigeru Ban has designed the tallest timber structure in the world in the form of a luxury development. Designers are also working hard to raise awareness of the importance of sustainability, with the American Hardwood Export Council showcasing an installation created out of unpopular hardwoods at Milan Design Week 2017 to promote the sustainable use of these lesser-known timbers, with even big names such as IKEA producing a kitchen made entirely out of recycled plastic bottles. 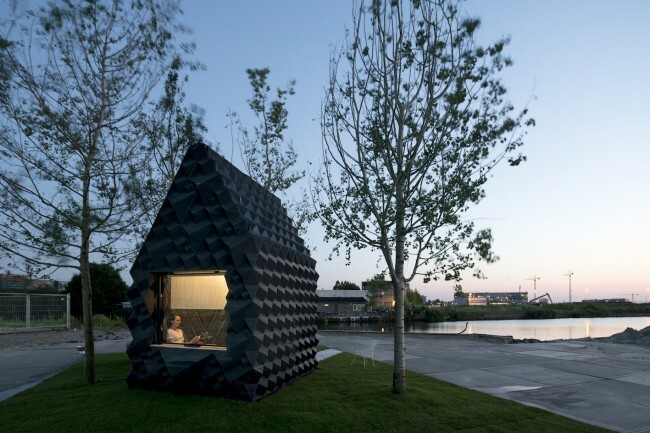 The rise of 3D-printing is also transforming the way designers are creating new products: in the Netherlands, DUS Architects has worked on a prototype for a 3D-printed building that could help solve the global housing crisis, while Rotterdam-based architects Panos Sakkas and Foteini Setaki have designed urban furniture made out of 3D-printed plastic waste. The winter of 2016 brought us hygge, the hugely popular Danish trend that taught the world how to add cosiness to our homes and bring happiness to our lives. While hygge got replaced with lagom in 2017, which focuses around the concept of being less wasteful, thinking sustainably and bringing nature into the home, we’re still obsessed with the Scandinavian aesthetic in general, aspiring to get the look at home. Post-modern architecture is replacing brutalism when it comes to architectural comebacks – both previously had a bad rap and were considered the ugly ducklings of 20th-century architecture, but post-modern buildings have seen a resurgence in popularity this year, with many finally receiving listed status in the UK. 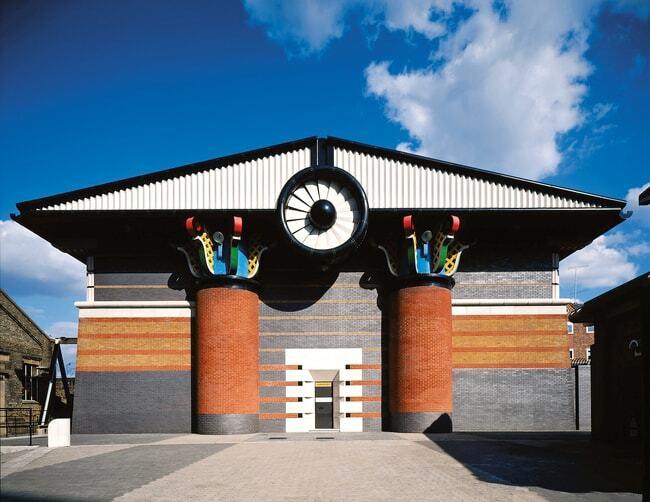 These featured Post Modern Buildings in Britain – see some of the key London landmarks here. Black architecture is everywhere right now, with charred timber cladding being especially prominent. It’s basically down to the increasing popularity of an ancient Japanese technique called Shou Sugi Ban, which preserves the wood by essentially burning it, a process that ironically makes it fireproof, more durable and offers protection from rot and pests. However, black architecture has been around for hundreds of years – we took a look at some of the best examples from around the world here. It seems everyone is getting on the Airbnb bandwagon, the quirkier the stay the better. This year, we’ve seen a Swedish airport control tower, a helicopter in Scotland, a traditional pub in Ireland and a coastguard station in the middle of the Atlantic Ocean to name a few. 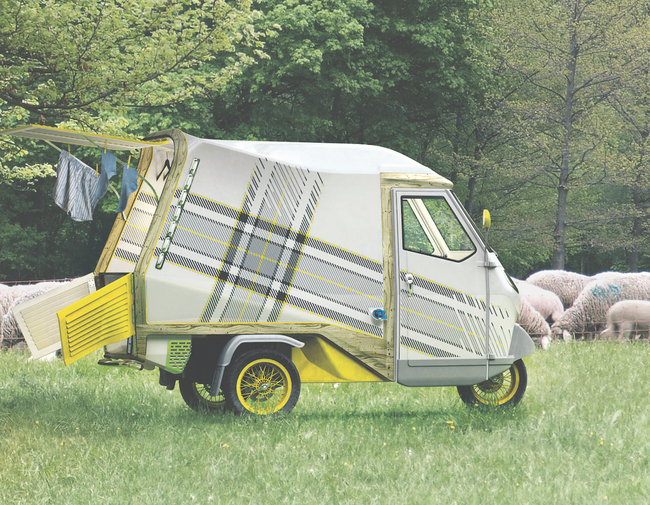 ‘Mobitecture’ has also been a big deal, with many vehicles being kitted out to create fully functioning tiny mobile homes for travellers – here are five affordable tiny homes for the perfect cross-country road trip, plus check out this Mercedes van turned into a mobile home. 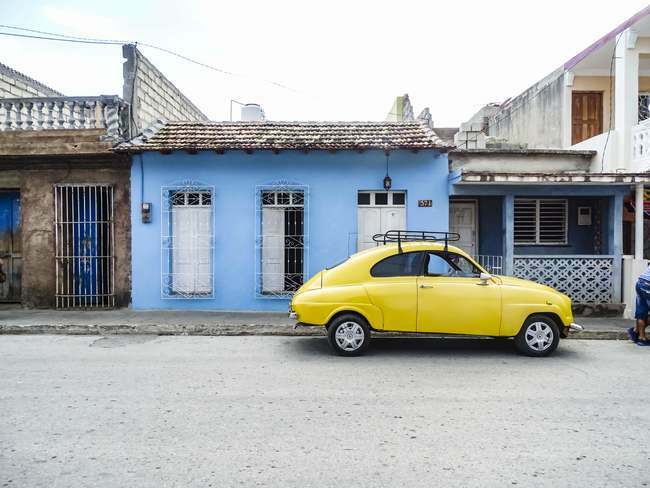 From our New York home and design editor, Amber Snider, taking a tour around the colour-blocked streets of Cuba to the more contemporary use of bolder colours inside the home, an injection of colour is exactly what the doctor ordered for this volatile year. People are being braver with their interior design more than ever, with this young couple in London truly embracing bright hues for their renovation project, while a creative and colourful patchwork design has brightened up this compact family home in Tokyo. The influence of Japan has been everywhere this year, from its traditionally clean-lined, minimalist aesthetic often found in its architecture to the more philosophical approach of wabi-sabi, which means embracing the imperfections of daily life and the objects that surround you. If you’re looking for a more zen approach to your interior design, this is it – we show you 10 ways to get the wabi-sabi look at home. 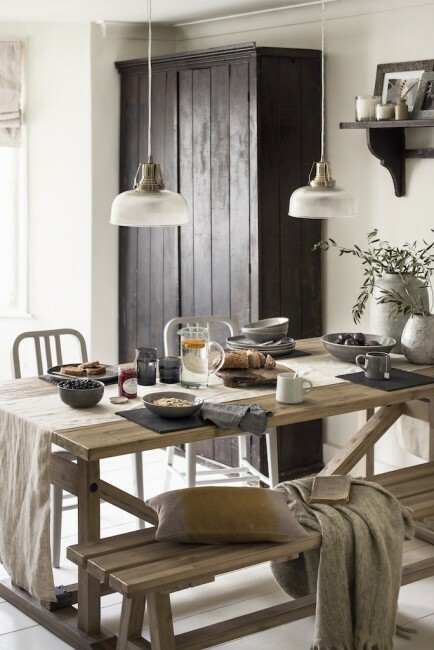 With a more neutral palette and calm look, this trend still has a laid-back vibe, but with a bit more sophistication. It’s less about a mish-mash of styles, colour and pattern and a bit more restrained – interest is gained from layering textures and tonal colours, while also drawing on the natural world for influences. Here’s how to get the boho chic look at home, plus check out the home of true bohemians Francesco and Gael Boglione, the owners of London’s famous Petersham Nurseries, which is known for its refined-yet-rustic charm. 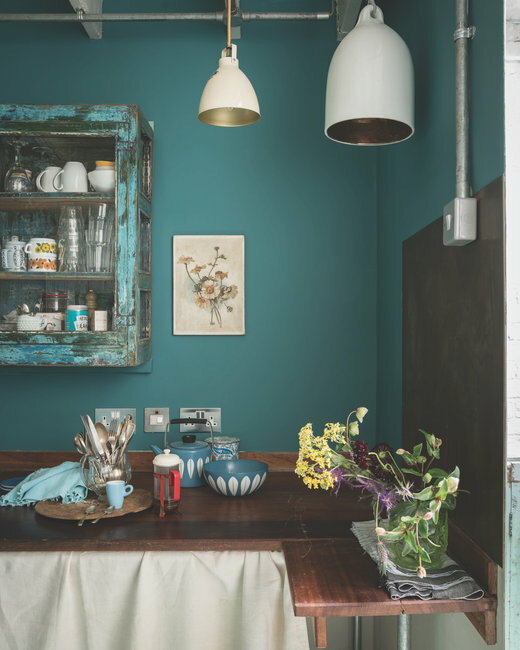 Towards the end of 2017 in particular, we’ve seen deep gemstone colours taking centre stage – rich, sumptuous and jewel-toned schemes have replaced the neutral beiges, grieges, and all-white interiors that were popular previously. 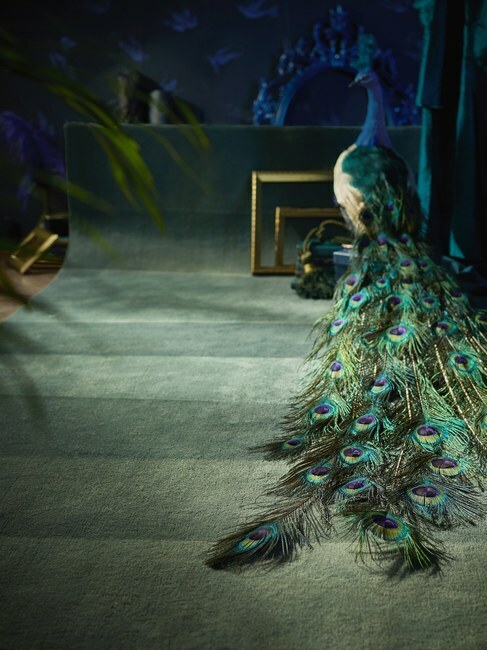 Velvet has also been hugely popular, especially in these deep, moody hues, with accents in brass, copper and rose gold still being very much on trend.